When people are asked about immigrating to another country, one of the countries that often pops-up is Australia. This should no longer be a surprise. Moving to Australia can have many perks such as better pay and jobs. Foreigners are also widely accepted in the country. What about you? Are you too planning to work or study in here? Then the first thing that you need to do is get yourself an Australian Visa. This article will discuss this subject briefly. Australia issues different types of Visa. In case you are wondering which of these is the right one for you, this will depend on several factors such as your reason for moving to Australia. Do you plan to go in this country solely for work purposes? Did you just get married to an Australian citizen that prompted you to move? Or maybe, you want to go to this country because you wanted to study in one of its universities? 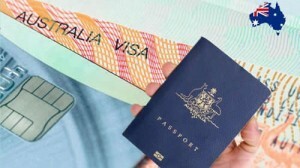 Things such as these, including your nationality and on how long your plan to stay in Australia will determine the type of visa that you should be applying for. For skilled workers, the 457 work visa is recommended. Will I get special rights with my Australian Visa? As mentioned earlier, Australia issues varied types of Visa. These will have their special privileges and limitations. For example, temporary work visas will only allow you to work for a limited time and not to permanently emigrate to Australia. Now, take note that not all are approved the first time that they try to acquire an Australian Visa. If you are worried about this happening to you when you are in the process of thinking of moving to Australia, you might be better off consulting a migration agent or lawyer to help you get it right the first time. Whatever your purpose of going to Australia, you need to be informed of its laws and processes. Having said, consult the experts or visit https://www.migrationcompared.com/.